What’s new from Upper Crust Enterprises, Inc.
Summer is on the horizon and along with longer days and warmer temperatures, summer also brings about a change in the type of menu items diners tend to order. Consumers still crave crispy foods but look for lighter options. This is an excellent opportunity to replace your standard breadcrumbs with an Authentic Japanese Panko. An Authentic Panko can do everything breadcrumbs do, but with a lighter, crisper and less greasy taste. Authentic Japanese Panko breadcrumbs are the perfect replacement for standard breadcrumbs for so many reasons. Traditionally used in Asian cuisine, the popularity of Panko in western culture has skyrocketed due to its incredible versatility, light and delicate texture along with its ability to stay crisper longer. 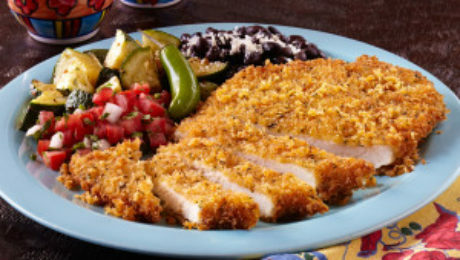 Upper Crust Enterprises Authentic Panko is an excellent choice to help lighten up any menu this summer and we proudly boasts all of our Panko is certified GMO Free, Vegan, Kosher and Halal. 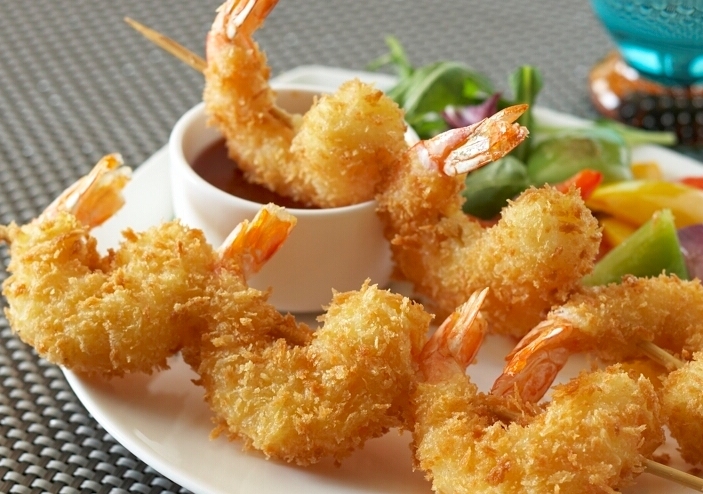 Coating: The most popular use for Panko is as a coating for fried foods, perfect for both oven and deep-fried. The texture of an Authentic Panko is light, airy and delicate, absorbs less oil and provides a better crispy texture than standard breadcrumbs. Mix-in: Panko is ideal as a mix-in for meatballs, vegetable fritters, or anything else that needs a binder. Authentic Panko is a superior choice than breadcrumbs because of the delicate texture it adds without added flavors. Authentic Panko breadcrumbs are flavor neutral and will never add a bready flavor so the flavor of your protein, vegetables and spices come through clean. Top Coating: The light and delicate texture of Authentic Panko is perfect for top coatings, adding a perfect crisp that isn’t heavy or oily. From au gratins to cobblers, the texture results in a perfectly delicious light and crispy topping. Authentic Panko is quite possible one of the most versatile ingredients in the pantry; strong enough to hold up to a deep fryer, delicate enough to grace the top of desserts, bold enough to add texture to any menu item, from sweet to savory. However, Not all Panko is Authentic – how can you tell the difference? Large sliver shape crumb (flaky look) – many Panko brands have small round crumbs. 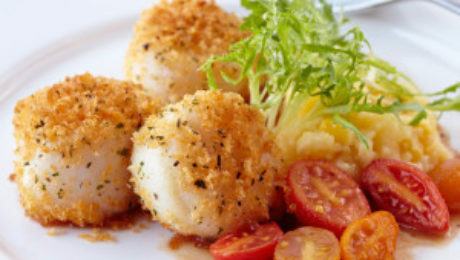 Light airy texture – some Panko brand have large crumbs but they are very hard and dense. Creating a light and delicate flaky Authentic Panko takes time and can never be rushed. The key to making an Authentic Panko starts with a clean and simple list of ingredients; high quality flour, yeast, sugar and salt and then taking the time to process the dough to create the perfect crustless loaf of bread. 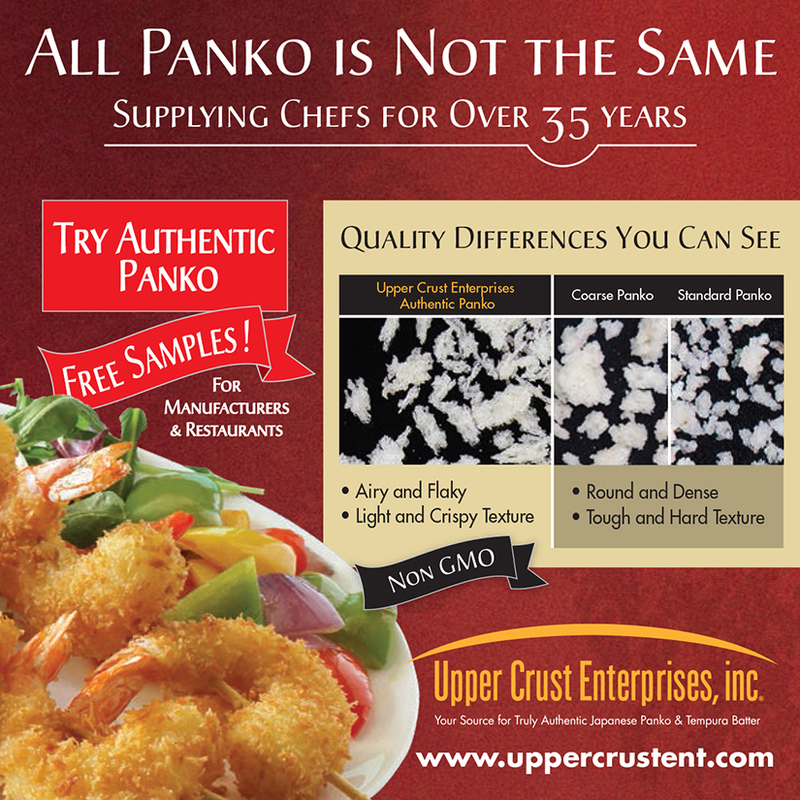 For more than 35 years Upper Crust Enterprises has been producing Authentic Panko for restaurants across the globe. Strictly adhering to the traditional Japanese methods is the secret in creating a truly Authentic Panko breadcrumb. We follow traditional Japanese methods and process the dough to create millions of small air pockets so when cooked and ground each Panko crumb has that distinctive light delicate crispy texture, every time. Take a virtual tour of our plant and see how we create our Authentic Panko. Panko should never (ever) be hard or dense. And that’s exactly what happens when lower quality ingredients are used and the cooking and grinding process are rushed. Only Authentic Japanese Panko will have the light airy delicate and flaky shape that creates a perfectly light and crispy texture, without an “overly oily” taste. We personally invite you (Professional Chefs, Restaurants and food distributors only) to try Upper Crust Enterprises Authentic Japanese Panko – FREE. Deliver a better plate presentation making coating items look bigger, without the “bready” taste. After you receive your sample visit our Recipe Suggestions and have fun trying new recipes and discovering how such a little crumb can have such a great impact on your favorites dishes! 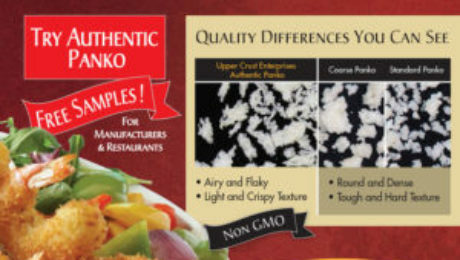 All of our Authentic Panko products are certified GMO Free, vegan, Kosher and Halal. Authentic Japanese Panko is one of the most versatile ingredients, unfortunately it’s also overlooked as just a breadcrumb ingredient. However, the uses for Authentic Panko are endless, and not just for Asian or Japanese restaurants, but any professional kitchen. From texture to appearance, an Authentic Panko is a mighty little breadcrumb delivering unique results to your menu and creating meals your customers crave. Lighter texture, along with better surface coverage are just two of the many reasons an Authentic Panko is a perfect alternative (and replacement) for standard breadcrumbs and standard panko breadcrumbs. 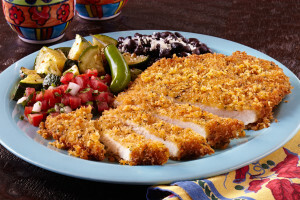 Adds Better Texture – An Authentic Panko adds a light delicate texture, enhancing the foods natural flavor. 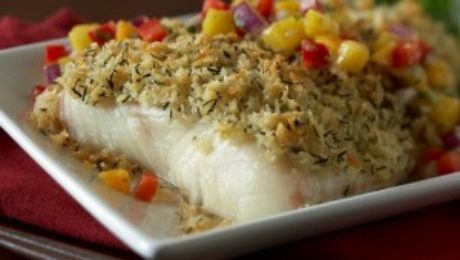 Perfect for oven and deep-frying, as a top coating for au gratins and even desserts or as a binder, Authentic Panko will provide a light crispy texture to enhance your menu item. It will never be hard and dense. Customizable Flavor – Authentic Panko is flavor neutral, making it perfect for enhancing the natural flavor of the food or enhancing the flavor by creating your own unique spices and flavors. Either way, it’s an excellent choice, without the “bready” flavor commonly associated with standard breadcrumbs. Not all Panko brands are Authentic Japanese Panko. If you’ve ever experienced a panko that is hard, round and dense, then it wasn’t an Authentic Panko. An Authentic Panko is light and delicate with sliver or flaky shaped crumbs which will enhance your menu items by adding a light crispy texture without being oily, heavy or overpowering. Panko should highlight your coated protein with a light crispy texture and not fight it with a hard crunchy texture. We personally invite Professional Chefs, Restaurants and food distributors to try Upper Crust Enterprises Authentic Japanese Panko – FREE. Deliver a better plate presentation making coating items look bigger, without the bready taste. After you receive your sample, please visit our Recipe Suggestions and have fun trying new recipes and discovering how such a little crumb can have a huge impact on your favorites dishes! For over 35 years, Upper Crust Enterprises has been producing Authentic Panko breadcrumbs for restaurants across the globe. Keeping to the traditional Japanese methods and taking the time to do it right in blending, baking, elongated drying process, and grinding. Upper Crust Enterprises authentic Japanese Panko breadcrumbs are available in All Natural. All of our Panko is certified GMO Free, vegan, Kosher and Halal. The traditional Japanese methods provide a Panko that will give your menu items a light, crispy texture without an oily taste or overly hard texture. It’s no wonder there’s been such an upswing in the deliciously creative ways chefs are upping their game by enhancing classic dishes with new and creative textures. Adding or changing the texture of any dish is an effective way to make the ordinary, extraordinary. Taste, Texture, Smell. Achieving the perfect balance is a culinary trifecta. Batters and breading’s enhance foods while providing chefs an open canvas to add their own unique flavors. Fried, top-coated and even ingredients used as binders have one critical detail in common, each offer an opportunity for creating a unique texture and taste. Choosing the right texture is critically important – if the texture is too crunchy it makes the food taste over-breaded or worse, over-cooked. Understanding the subtle differences of a crispy texture vs a crunchy texture is key to achieving the perfect balance of taste, smell and texture. See in more details on texture in our recent post: Defining The Subtle Differences of Crispy & Crunchy for Better Food Textures. 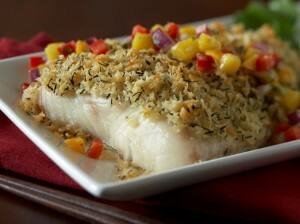 Authentic Panko is a perfect solution for adding a light delicate texture to almost any menu item. Authentic Panko is always light and delicate and can be used in countless applications, making it an ideal choice for fried, oven baked, top crusting or as a binder. 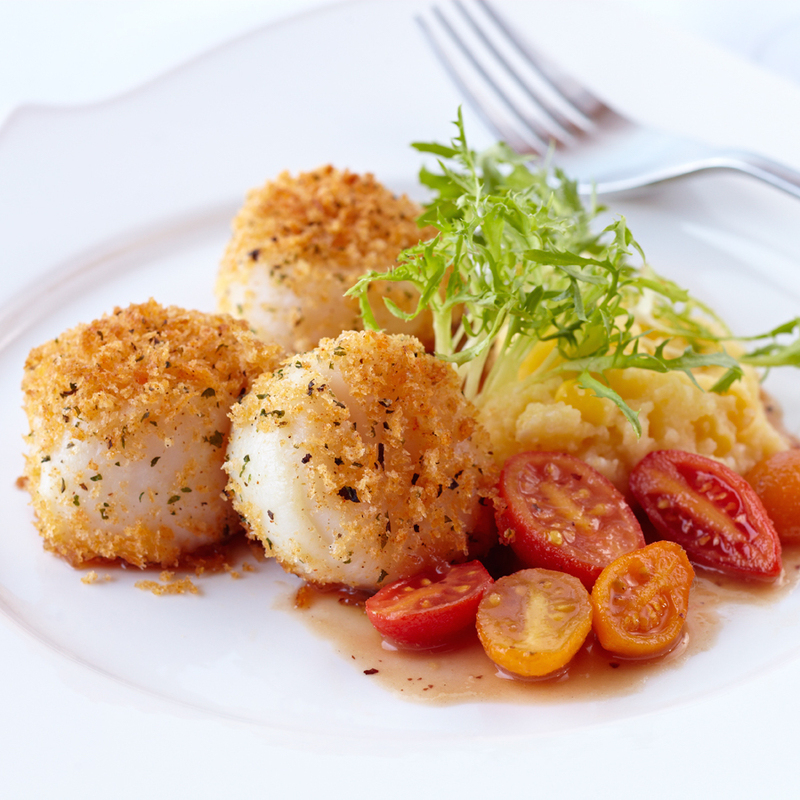 From starters to desserts, An Authentic Panko is the ideal choice to add texture. But not everyone uses Authentic Panko. Just like the difference between crispy and crunchy, there is distinctive differences between standard panko and Authentic Japanese Panko. These differences are noticeable and measurable. Understanding the difference enables you to maximize the texture experience of your menu items and most importantly, keep your customers happy and loyal. Authentic Japanese Panko is easy to spot if you know what to look for, it’s all about texture and shape. Authentic Panko has a delicate light textured crumb which is flaky and sliver shaped. Just by touching the Panko crumbs you can feel the difference. Standard Panko will be round in shape with a hard dense texture. Why is Authentic Panko so delicate? It is all because of the air pockets in the crumb. These tiny little air pockets have two primary functions; provide a delicate light crispy texture and when fried oil goes into the air pockets, but drains out when removed from the fryer, providing a less greasy oily taste. It’s following traditional methods when making an Authentic Panko that produces the light delicate texture and less greasy look/taste. Most standard Panko manufacturers don’t use traditional quality ingredients and rush the process – completely missing the mark resulting in a round, hard dense Panko crumb. To learn more and see how Authentic Panko is made take a virtual plant tour Panko the Secrets Revealed – it’s actually a fascinating process. Upper Crust Enterprises has been making Authentic Panko for over 35 years. Our traditional Authentic Japanese Panko is produced in the USA with USA supplied ingredients. The majority of our Panko is sold to Japanese and Asian restaurants worldwide, however, because of our authentic quality Upper Crust Enterprises Authentic Panko is becoming increasing popular in a wide range of restaurants, from Italian Bistros to major chain restaurants. Upper Crust Enterprises authentic Japanese Panko Breadcrumbs are available in All Natural and Authentic. 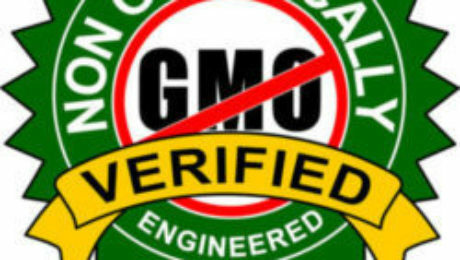 All of our Panko products are certified GMO Free, vegan, Kosher and Halal. We personally invite you (Professional Chefs, Restaurants and food distributors) to try Upper Crust Enterprises Authentic Japanese Panko – FREE. Provide a better yield than standard Panko. Deliver a better plate presentation, making coating items look bigger without the “bready” taste. Vegan, Vegetarian or Carnivore, we can all agree that fried food is delicious and the craving is real. 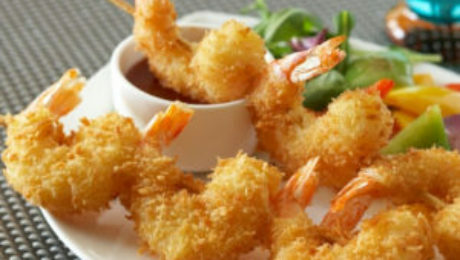 Tempura is a perfect way to fry so many different foods, vegetable, seafood, poultry and even fruit. And what’s better than a light and crispy tempura coating? An Authentic Tempura Batter Mix packaged and manufactured specifically for professional chefs. 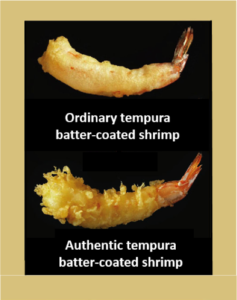 Upper Crust Enterprises takes great pride in producing our Authentic Japanese Tempura Batter Mix. Our tempura mix is made without MSG, eggs and unnecessary flavorings or preservatives, resulting in a light and lacy fried coating that stays crispy, never oily or soggy. It is the perfect choice for any menu item requiring a batter or pre-coating. These ingredients will alter flavor and cause the batter to not perform as nicely with a light lacy texture. Because Upper Crust Enterprises Tempura Batter Mix is flavor neutral you can easily create a wide variety of batter flavors without affecting the crispy texture. The types of liquids you can use in our mix are as varied as the food you choose to coat. Simply add water to make a superior tempura, or add beer for a light and crispy beer batter. Coating fruit? Use wine, champagne or juice. Be as creative as you like and create your own unique flavor. Our tempura batter mix is also excellent as a pre-batter with Panko, replacing flour and egg wash, allowing you to offer a greater selection of vegan and vegetarian options on your menu. Visit our website for more application ideas www.UpperCrustEnt.com. If you’ve never tried Upper Crust Enterprises Tempura or our Authentic Japanese Panko we would like to offer you a sample kit – free and without any high-pressure sales pitches. We are that confident you will see and taste the difference! This offer is available only to professional chefs, restaurants and food distributors. Get your free tempura batter sample kit, along with several unique recipe ideas. Take the Tempura challenge and compare. We know you’ll see and taste the difference. Upper Crust Enterprises has created an authentic Tempura Batter mix that rivals the best Japanese tempura masters back of the house blend. Our Tempura Batter Mix and Japanese Panko Bread Crumbs are sold throughout the entire United States, Canada, Mexico, all of Europe, Barbados, Belize, Israel, Panama, Ecuador, Russia, United Arab Emirates, Guam and Saipan. We supply various restaurant chains in the U.S., Mexico and Canada. All of our products are Kosher Certified, have Zero Trans Fat and backed by a 100% satisfaction guarantee. If you are not happy with the performance of our products we will refund your purchase price. Christmas came a little early this year with the release of Grubhubs Annual “Year in Food” report. Grubhub, the leading online and mobile food-ordering and delivery marketplace, analyzed millions of orders placed by more than 16 million diners on its platform and surveyed consumers across the country on their ordering tastes and eating habits, to find out what food trends were the most popular in 2018. Taking the top spot for the food surging the most in popularity was the bean burrito, second runner-up was the increased popularity of cauliflower rice bowls. With chicken sliders coming in at an impressive number three position on the list. While chicken didn’t make the number one spot, number three (and being listed three times on a top 10 list) is nothing to cluck about! If you want add a little something special to your menu’s chicken options in 2019, Upper Crust Enterprise has the perfect solution. Panko is one of the most overlooked ingredients in the professional kitchen, which is a shame, because our Authentic Panko is flavor neutral, which eliminates the “bready” flavor, making it more versatile than standard breadcrumbs and even many standard panko brands. Best of all, with diners looking for clean ingredients, without added “stuff”, Upper Crust Enterprises Authentic Japanese Panko is made without preservatives, artificial flavors, dough conditioners, and is certified GMO free. Each and every batch of our Panko is produced using the traditional Japanese methods, resulting in an Authentic Panko that is the perfect light and airy coating for fried foods, a top coating and even as a mix-in for chicken meatballs! Upper Crust Enterprises Authentic Japanese Panko is available exclusively to Professional Chefs, Restaurants (large or small) and Food Distributors. After you receive your free sample of Upper Crust Authentic Panko, visit our Recipe Suggestions and have fun trying new recipes and discovering how a tiny little crumb can have such a great impact on your favorites dishes! At Upper Crust Enterprises, keeping our products clean and simple isn’t a trend; it’s how we’ve been doing it for over 35 years. When does a trend stop being a trend and becomes mainstream? When a company the size of McDonald’s changes its menu to meet the demands of consumers, that’s when! It’s safe to say the demand for GMO Free, Clean Ingredients, free of preservatives and artificial colors, even in fast food is changing the food industry as a whole. McDonald’s introduced a change in 2015, replacing liquid margarine with real butter on their famous Egg McMuffin, it was a small changed that sent a message that real food matters. And they didn’t stop there; the fast food giant recently announced it has removed artificial colors, flavors and preservatives from their top selling burgers. When food giants like McDonald’s implement changes that impact the food industry, it begs the question, what steps has your restaurant made to meet the demands of its consumers for food options with clean ingredients? McDonald’s sees success in serving menu items with cleaner ingredients. Have you thought about your breading and Panko? Not all Panko is Non-GMO or have clean ingredients, nor is all Panko authentic. Even a small change can have a significant impact, especially if you switch to an Authentic Japanese All-Natural Panko crumb. It’s a small, yet impactful, addition to any professional kitchen and can help meet the growing demand for cleaner food options. It’s as easy as replacing common breadcrumbs and standard Panko with a GMO Free, All-Natural Authentic Panko made by Upper Crust Enterprises. A perfect solution to help meet customer demands for clean ingredients. An authentic Panko is versatile and can be used in a wide variety of applications, as a mix-in for meatballs, top coating for pastas and au gratins and even desserts and of course, as a light and crispy coating for fried foods. The key to making an Authentic Panko starts with using a high protein quality flour, yeast, cane sugar, salt and sometimes a palm oil shortening, then taking the time to process the dough to create the perfect crustless loaf of bread. At Upper Crust Enterprises we follow traditional Japanese methods and process the dough to create millions of small air pockets, so when cooked and ground each Panko crumb has that distinctive light delicate crispy texture, every time. Because an authentic Panko is flavor neutral, it eliminates the “bready” flavor, making it more versatile than standard breadcrumbs and standard panko. Our simple and clean ingredients set us apart from our competitors. Using only the traditional ingredients, no additives, dough conditioner or preservatives. Our Authentic Panko is Non-GMO, and also available All Natural made with Organic cane sugar and sea salt. 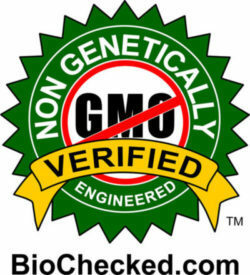 All of our Panko products are certified GMO Free, Vegan, Kosher and Halal. That’s right, Katsu a long-time favorite comfort food in Japan is making it’s way onto American Menus – Katsu is fast becoming a star. 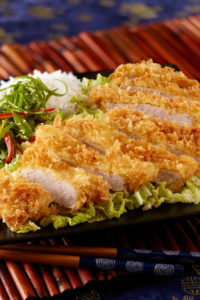 Nancy Kruse, a highly regarded menu trend analyst and President of the Kruse Company, recently published an interesting article “Katsu Crosses Over”, citing the success and many applications restaurants are using elevating Katsu into the mainstream spotlight. 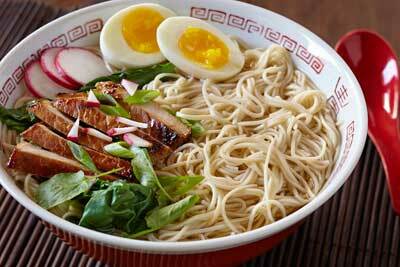 Authentic Japanese menu items, such as sushi, are gaining popularity, however, not everyone likes seafood or raw fish. 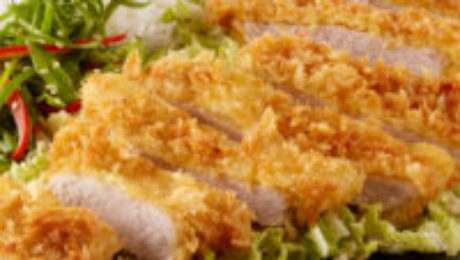 But, very few can resist a golden fried cutlet, which is one of the leading reasons Japanese Katsu (crispy coated pork or chicken) is gaining so much attention and finding it’s way onto many menus. It’s comfort quality goodness makes Katsu perfectly positioned to attract a wide range of customers. Why the sudden popularity? According to Nancy Kruse, “… katsu is tasty, satiating and, especially here in the United States, unlikely to be made at home.” We couldn’t agree more. Not only is this dish tasty, it’s versatile and allows chefs to use their creative genius, building their menus while wowing their customers. 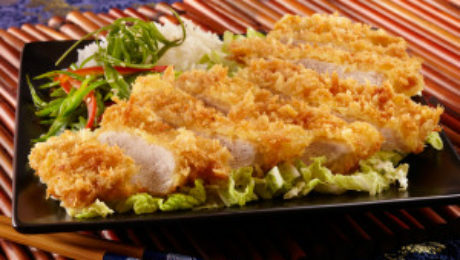 The essential difference between Katsu and other European-style breaded cutlets is Katsu must be made with Panko. It is the crispy light delicate texture of Panko that makes this dish so satisfying and delicious. 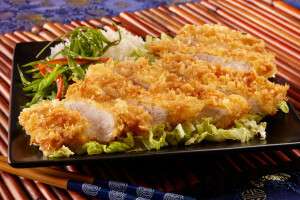 Knowing how to select and use authentic Japanese ingredients is important – using an authentic Panko is critical to the success when adding Katsu to your menu. Not all Panko brands are authentic and if you want the true delicate light crispy outer texture of Japanese Katsu you need to choose the right Panko. How do you know if your Panko is authentic? If you didn’t know there was a difference between standard foodservice Panko and Authentic Panko, don’t feel bad, many food professionals don’t. We hear all too often “Panko? It’s all the same right?” Wrong. The difference between Authentic Panko and standard Panko is significant. Authentic Panko is easy to spot. It is all about texture and shape. Authentic Panko will have a delicate light texture crumb, not hard or dense. Just touching the Panko you can feel the difference. The main reason authentic Panko is more delicate is because it has more air pockets in each crumb. Those air pockets do two things, provide a delicate crispy texture and when fried oil goes into the pockets, but drains out when removed from the fryer providing a less greasy oily taste. It’s these unique characteristics that allow an Authentic Panko to stay crisp and hold up to hot oil better and longer, without the oily or greasy taste. Authentic Panko is also flaky and sliver shaped, not round and dense. The flaky sliver shape provides more highlights and makes the coated item look bigger but will not taste over breaded. Many standard Panko brands do not use traditional quality ingredients and rush the process – completely missing the main elements that make an Authentic Panko a superior product, thus resulting in a hard dense coating. If your restaurant is planning on taking advantage of the Katsu trend – don’t settle for a standard Panko. Throw out the hard and dense and trust only an authentic Panko for your culinary masterpieces. Light and crispy, without an “overly oily” taste. You can trust a truly authentic Japanese Panko to deliver the results your customers crave. Upper Crust Enterprises has proudly provided Authentic Panko to restaurants and professional chefs for more than 35 years. Our traditional Authentic Japanese Panko is produced in the USA with USA supplied ingredients. The majority of our Panko is sold to Japanese and Asian restaurants worldwide; however, because of our authentic quality Upper Crust Enterprises Authentic Panko has increasingly become more popular in a wide range of restaurants, from Italian Bistros to major chain restaurants. Experience firsthand the difference Authentic Japanese Panko will have on your menu items. Professional chefs know the flavor experience is all about achieving the prefect combination of taste and texture. Achieving the precise balance isn’t always easy, nor is it easy to know exactly which element went wrong and why. However, we do know when texture and taste align, its pure perfection! Obtaining the perfect combination of taste and texture is both art and science. Crunchy and Crispy are two different textures frequently confused and often considered to be the same. There are subtle, yet very distinctive differences between crispy and crunchy, not only in their texture, but also in how the brain perceives these differences. Understanding these subtle variances can be the “Wow” factor needed to take menu items from ordinary to extra ordinary. Achieving the perfect texture balance is vital to the success of any dish. An interesting study was done on this subject from the Eastern Regional Research Center, Agricultural Research Service, US Department of Agriculture, Wyndmoor, PA; Critical Evaluation of Crispy and Crunchy Textures: A Review. The review is packed with in-depth information on identifying subtle texture differences and consumers perceptions between Crispy and Crunchy textures. A dry rigid food which, when bitten with the incisors, fractures quickly, easily, and totally while emitting a relatively loud, high-pitched sound. A dense-textured food which, when chewed with the molars, undergoes a series of fractures while emitting relatively loud, low-pitched sounds. A great example of crispy is: Lettuce with a light crispy texture. Who want’s crunchy lettuce? Crunchy is dense, which is great for hard texture items like corn nuggets. Using this research can help you determine the best-fried coatings to achieve the perfect balance of crispy or crunchy textures that customers crave. The research discovered with fried food, if the texture was too crunchy it gave the perception of being over-breaded or over-cooked. This would be especially noticeable with soft textured proteins like cheese, fish, seafood, chicken or vegetables such as onion rings, zucchini and peppers. If the outer coating of fried food is too hard or crunchy it creates an out-of-balance texture with the soft interior. The study emphasizes the importance of noticing the subtle differences in coating texture to avoid the overcooked/dense texture imbalance on soft textured foods. Finding the right light crispy coating allows you to better achieve the perfect texture balance while maintaining the foods integrity. The Food Lab created a Pros and Cons, using the most popular coatings for fried food, and found that Panko scored the highest in crispy texture. Authentic Panko is a perfect solution for keeping your coating texture “Crispy”, in-balance and on-point. The texture of an authentic Panko is light and delicate. However, not all Panko is the same. Just like Crispy and Crunchy, there is a difference between Standard Panko and an Authentic Panko. Knowing the difference will help you maximize the flavor experience of your fried foods, creating the perfect alignment of taste and texture. And best yet, deliver results that will keep your customers happy and loyal. Authentic Panko is easy to spot. It is all about texture and shape. Authentic Panko will have a delicate light texture crumb, not hard or dense. Just touching the Panko you can feel the difference. The main reason authentic Panko is more delicate is because it has more air pockets in each crumb. Those air pockets do two things, provide a delicate crispy texture and when fried oil goes into the pockets, it drains out when removed from the fryer, providing a less greasy oily taste. Many standard brands do not use traditional quality ingredients and rush the process – completely missing the main elements that make an Authentic Panko a superior product, thus resulting in a hard dense coating, perpetuating the “out-of-balance texture syndrome”. Don’t settle for standard panko, life is hard enough running a restaurant your Panko shouldn’t be. Amidst the healthy food trends for organic, GMO free and all natural foods the craving for fried foods are still a favorite treat for many consumers. Why is it that we enjoy fried foods so much? Besides the obvious (it’s amazing,) fried food stimulates so many different senses all at the same time. From the sound it makes when you bite into the crispy outer texture to the soft succulent center and let’s not forget the importance of presentation. Sight, Sound, Texture, Taste – it’s a winning combination that will make anyone’s mouth water. Recently Laura Brienze published an excellent article Hooked on Fried – Chefs are upping their fried seafood game. She showcases how chefs are taking their fried foods to whole new level of excellence and winning big with their customers. In reading Laura’s article a common thread among the many chefs quoted stood out. The breading and coatings used for their fried dishes weren’t heavy or overpowering. The food being coated remained the “star” and clearly identifiable. The key to keeping the “Star the Star” is to start with fresh, high-quality ingredients. Most importantly, choosing the right coating for your fried foods so it’s not overpowering. If you’re looking to compare the best options for your fried menu items, we have an interesting article about breading types and their differences on our blog Breading Pro’s and Con’s outlining the pros and cons for fried food coatings and batters. Many chefs are changing from standard crumbs to Panko as their coating of choice because of the light, delicate crispy coating. If you aren’t familiar with how Panko compares to standard breadcrumbs, the key is using an Authentic Panko. Only with a truly Authentic Panko will you achieve that truly delicate, light crispy texture. The difference is significant – all Panko is not the same. Many foodservice Panko (even popular brand names) are NOT authentic and provide a product which is dense and round, creating a hard texture that’s heavy and oily resulting in an unappealing plate presentation and taste experience. If you’re using a Panko and not sure if it is Authentic Japanese Panko, compare your Panko to these characteristics. Large sliver shape crumb (flaky look) – Standard Panko will have round crumbs. A change as simple as replacing standard breadcrumbs or a standard Panko with an Authentic Japanese Panko will have a noticeable impact on all your fried food items. We invite all professional chefs and food distributors to try a free sample of our Authentic Japanese Panko. Compare and experience the differences first hand. Upper Crust Enterprises has been making Authentic Japanese Panko for over 35 years. Our panko is produced in the USA using USA supplied ingredients. The majority of our Panko is sold to Japanese and Asian restaurant chefs worldwide, however, because of our versatility and authentic quality we are becoming increasingly popular in a wide range of restaurants, from Italian Bistros to many major chain restaurants. Upper Crust Enterprises authentic Japanese Panko breadcrumbs are are also available in All Natural formula. All of our Panko is certified GMO Free, vegan, Kosher and Halal.